First published in 1985, C.W.E Bigsby examines the career and work of playwright David Mamet. Bigsby shows that Mamet is a fierce social critic, indicting an America corrupted at its core by myths of frontier individualism and competitive capitalism. Mamet has created plays whose bleak social vision and ironic metaphysics are redeemed, if at all, by the power of imagination. No American playwright before him has displayed the same sensitivity to language, detecting lyricism in the brutal incoherencies of every day speech and investing with meaning a contemporary aphasia. Few have offered dramatic metaphors of such startling and disturbing originality. 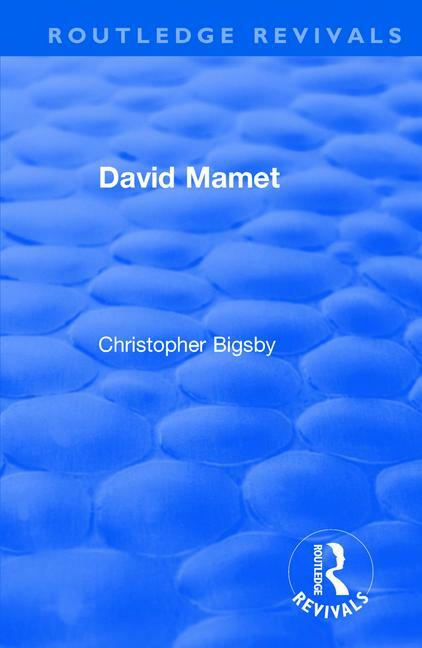 Bigsby’s study is the first book to provide a thorough account of David Mamet’s life and career, as well as close analyses of individual plays.